Each band member will answer this question a little differently. The common ground would be that feeling of connection that music gives us, the ability to speak a universal language that transcends the usual barriers and gets to the heart of things. When you first have that moment, that one where a song or a musician speaks right to you, and through you, choices fall away and music is the thing you’re doing. The details of those moments vary and the result is 5 of us doing this thing we call Playwrite, seeking to explore, define and recreate those connections to ourselves and to everyone with the music we make. French, critically acclaimed, post-pop duo Aufgang is back with a sultry new single that is taking a surprising futuristic and euphoric turn without giving up their hybrid and sophisticated musical roots. Born from the successful alliance of two strong personalities, Aufgang “blends piano, live drums and techno-inspired electronics into invigorating displays of virtuosity, which evoke the club and the conservatory, without really belonging to either one” says Pitchfork. 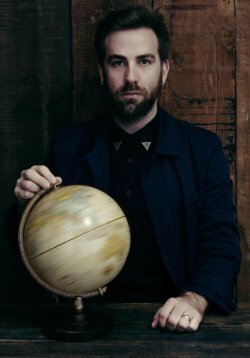 Songwriter and pianist Rami Khalife transcends both the traditional training he received as a student at the prestigious Juilliard School in New York and his Eastern roots – he grew up in a family of musicians and his father is a major artist in the Arab world. Drummer and producer Aymeric Westrich is an adept of DIY culture and brings along his knowledge of urban and electronic cultures, which he developed through notable collaborations with artists such as Cassius and Phoenix to name but a few. Looking for inspiration in various artistic trends such as the disco sound of legendary Larry Levan or the poetry of diva Oum Kalthoum, these free independent spirits have shape up their new sound in between Paris, Beyrouth and New York, in reaction to the frenzy of big cities, as if they wanted to prevent the latter from eating their freedom away. Summer proves it in a glittering manner. The freedom here lies in the disco treatment: a string section recorded at varying speeds and in different octaves — a throwback to the golden years of disco — gives an irresistible brilliance to the whirlwind of keyboards, drums and vocals. Clara Luciani, ex-chanteuse of the French surf-pop band La Femme (transformed for the occasion into an accomplice with a sirens’ song), sings her head off, making us drop the anchors of convention as she clears our path towards the light. Using Aufgang’s typical mirror-effects, Huriya — an Arab word meaning “liberty” — reflects that same quest on the Oriental side. Sustained by his solid kick and rhythms in chorus, Aymeric Westrich’s exhortation “Give me my freedom” rises into the warm winds of the Arab-like vocalizing declaimed by Rami Khalife at the summit of his pianistic illuminations. This piece is a cry destined to shatter the torpor created for us by a society either authoritarian or deceitful. This is the dawning of a new era for Aufgang. This music is a unique and varied experience highlighting the leanings of its creators, who have decided to break down the barriers between the East and the West and take us on a colourful and emotional magic journey. “An exhilarating one that will instantly demand repeat listens” said Musicomh. theaussieword.com catches up with Tim Omaji for a special interview! 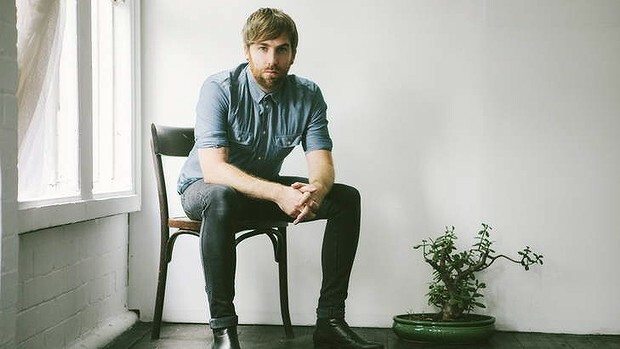 theaussieword.com’s special interview with Josh Pyke! Music was always a huge part of my home life. We listened to a lot of music, and it was definitely a big interest of my folks and sisters. When I had the opportunity to start playing in a little rock band in primary school, I was just hooked, and it was all I wanted to do from that point on. I just follow my instincts. I’m compelled to write music. I’m very lucky that it became my job, but it’s always just been the way that I express myself and process the things that are happening in my life. I want to explore deeper meanings in things, and the best way I’ve found to articulate the things that I am exploring is to write songs. I’m essentially pursuing the thing that creatively satisfies me the most, and I’m doing it because it makes me feel good when I write a song that makes me feel closer to some kind of truth that I’m seeking. Honestly, every goal that I set for myself when I was starting has been achieved. All I ever wanted was to play some festivals, make a record I was proud of, and be able to quit my job. When those things happen you, just kinda raise the bar and set more goals. So I did that for a few years, hoping for arias, and gold records etc, but when those things also happen, you get to a point where you realise you’ve lost focus on what you actually want to achieve, which is to make art that you’re extremely proud of. So whilst I’m super grateful and proud of those achievements, my biggest goals now are to continue to be able to make music that I’m proud of for an audience that appreciates it, and to make a living at it. And frankly that’s hard enough to achieve without all the other stuff! I’m doing a series of concerts called the Fans First shows. These will be an introduction to the new album for my core fans and supporters before I head out and do more extensive touring next year. I really find it hard to “best describe my music”. I feel that’s better left to journalists and people who are actually objective about it. I will always be subjective, and therefore my description will be fundamentally flawed. How would you best describe my music? As for the record, I feel super proud of it, and I pushed myself very hard to make sure I felt 100% confident about every creative decision I made on it, which led to a record that feel is my best work. I think it feels balanced, hopeful whilst still exploring a darker side of things, and we really pushed ourselves (John Castle and I) with the production to include sonic pallets that I haven’t used before. Obviously that’s a question that’s impossible to answer. For instance, you’d need to actually define “success” before anyone could identify a secret to achieving it. Success is different for everyone. For me, success is finding balance. Balance between feeling valued for doing the thing I love, whilst not allowing it to take me away from the people I love and value. That’s a struggle that’s not unique to a musician. Playing alongside the Sydney Symphony Orchestra for two nights was absolutely amazing. To hear my songs performed in that context was incredible and a real honour to play with such accomplished musicians in such a revered space as the Opera House. I’m inspired by anyone who is able to do what they love for a living. People like Sufjan Stevens who has carved such an amazing niche for himself world wide, and produces such emotionally honest records is hugely inspiring for me. My new record is not even out yet! No, I’m focusing on this one for a while! The Australian music industry is actually tiny, and I mostly operate within that. The fact that the industry is so very small in Australia makes it even more of a challenge for young artists to get a proper career happening. I started a grant called the JP Partnership to give some money and mentorship to a young artist every year, and in the future I’d like to focus more on that side of things I think. Gang of Youths, Packwood, Gordi, Jack Carty, Jackson Mclaren, Cloud Control, the Jezabels. There are loads of amazing songwriters in this country. The industry has changed in a lot of ways, but it’s essentially aiming at the same thing is always was, which is to try and draw attention to new music in the midst of lots of other great music. Social Media is a great tool for that, but the bottom line is, that if the music is no good, no amount of spin or tweeting will create any long term, sustained success for an artist. I engage with people on all the Social Media platforms, and honestly, it’s a great way to have a connection with people directly, but for me the old fashioned touring cycle will always be the best way to engage an audience and get the music out to the people. 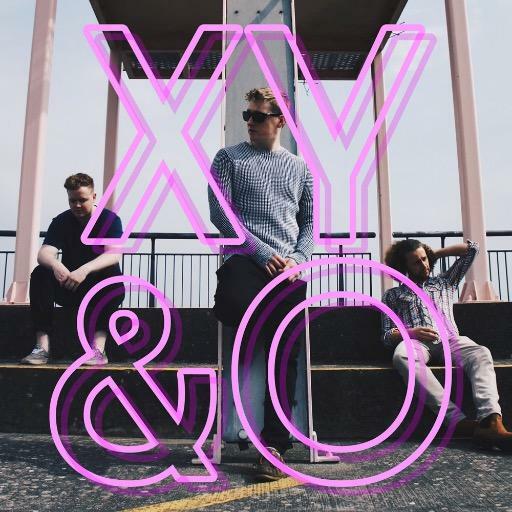 theaussieword.com catches up with XY&O a talented pop trio from Cardiff! Well, growing up music was just ever present for me (Skip). As I went through school etc I never really considered going into any other industry, I don’t think I ever seriously considered anything else. I started finding new bands and working with them in the studio, then got picked up as a record producer for a while. As for XY&O, it originally started out as a Me and Tudor writing songs for other artists to sing. We were putting stuff out under the name XY&O for managers and artists to listen to, so they could pick them up, but then one of our early demos got blogged around in the US and all of a sudden we had US radio DJ’s emailing us asking when we were touring!? So we roped in Nick (guitar) full time and turned it into a real band. I just hear other great music and think, I want to write something like that or I want to be involved in something like that. As for influences, there’s too many to mention between three of us. I think we just want to keep getting our music out there and hope that people enjoy it. If, as an artist you can get your career to a position where you can announce a gig in some middle of no-where place a few hours before playing and still manage to pack that place out, that’s a pretty good measure of your success. We’re all really keen to get out more live and play some trippy gigs. I saw a band recently do a tour of the Alps during the ski-season, that would be cool. We don’t really set to many long term goals, the industry changes so much all the time, so we like to keep it spontaneous. Yeah, we’ve got a few more tracks, live sessions and videos to get out first over the summer and we’ll be announcing some more live shows too. As for touring, later this year is the plan I think! I’d describe our music as hazy pop. The record right now is about half-written, we have some ‘up on your feet dancey’ tracks but then some slower, more soulful ones too. The guitar is a central element to our music, Nick is a phenomenal player and writes in a really unusual way, I play guitar too so we layer things up and recreate it live. When we play live we have a full six-piece band because we never wanted to rely on boring playback at our gigs. Hopefully we’ll be able to tell you in a few years…. Probably just the overall pick up and exposure of our tracks to be honest. The fact we’re talking to your good self in Australia is testament to that! It’s tough, there are so many phenomenal artists who are inspiring in different ways. And then there are lots of stars who are posthumously inspiring. Right now, maybe someone like Prince in the way he’s re-emerged over the last 12/18 months and captivated a whole new audience. He did a series of surprise live dates last year in Camden which he announced like a day before, no pre-sale tickets, totally off the cuff. That’s the spontaneity thing I was talking about. Everything is so visible these days so to keep people on their toes is increasingly difficult….especially if you’re Prince. Lots more to come with XY&O over the summer and rest of the year. I’m (Skip) writing and producing a tracks for other artists too which I’m always doing and always excited about. Tudor is usually writing beats or collabing with various artists too. And Nick is pretty much always playing various instruments with various people. We’re looking into a couple of XY&O collaboration options too if the right thing comes along. If we’re still around then that says something! There are so many artists who seem to explode out of nowhere and then fade away as people get bored, or maybe the industry gets bored of them so by proxy so does the public. If we’re still writing, gigging and recording and making stuff that people enjoy then that will be pretty good! Well, Empire of the Sun were one of the biggest inspirations behind the tracks we started writing as XY&O. ‘Walking on a Dream’ blew my mind when that came out, I love their left-field electro pop stuff. And obviously Tame Impala makes, some of the coolest music in the world right now same as usual for them. Kevin Parker is a genius. A special mention should go to Silverchair too, Diorama was a great album. There’s some really good new stuff coming out too, there always is I guess, I was checking out Collarbones and Lower Plenty just recently, both great groups! The industry is so fluid, it’s always changing and new apps, websites and platforms are coming out every week that people are using to find new music and consume music. In one way it’s hard to keep up and hard to get your head above water, but in another it’s never been easier for artists to get their music heard online through social media etc. I still think that if artists are writing good enough records that people enjoy listening too then usually those artists find their audiences. If you’re clever with social media etc, sometimes you can find and connect with those audiences faster, but ultimately, if your music is appealing enough and available enough online then you’ll get somewhere. Organic growth is a good thing, figuratively and literally!